Classic women’s monogram shorties are a perfect pajama, lounge short, or beach coverup. The drawstring waist and flattering length make this a summer style staple. They make a great bridesmaid gift, birthday present or special something for Christmas! 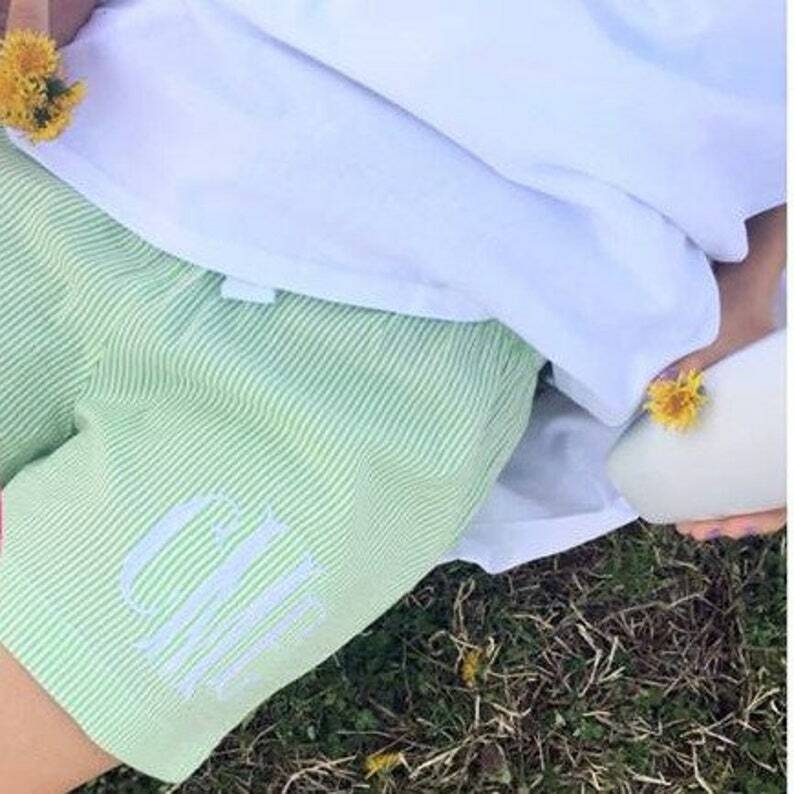 This listing is for one pair of monogrammed shorts. Christmas Pajamas - Adult Pjs With Monogram | Name Holiday Jammies. Personalized Family Christmas pajamas. Christmas card. This is final inventory on this shop favorite! Sale price includes monogram! Please be sure to leave monogram info in notes to seller at checkout. Due to the custom nature, all sales are final.